Even though it's almost a year now since we moved (again), we're just getting around to making this house a home and it was only when I'd decided the colour scheme for our bathroom (greys, copper & greenery) that I realised how deep my love of copper home accessories had grown. I've always been a fan of metallics for accessories in the home, favouring gold and rose gold usually however I've found with the recent copper boom there are some beautiful ways of incorporating this luscious deep metal shade into your home decor. One of the top trends for copper that I'm really enjoying is the geometric tealight holders or lanterns. I believe Penny's (down South) had been stocking these and I watched as they invaded Snapchat recently. Unfortunately Primark's UK counterparts seem slow to catch up in this department but I have hope we will see more copper accessories hit instore soon. In the meantime, the copper plant bag looks perfect for my new bathroom set up and I'm starting to think I should maybe do the kitchen with copper accents too. Such a rich and warm colour which is perfect heading into the darker months. Copper is the perfect colour pop companion to greenery in the home which is something I've decided to strive more for. I'm not at all green fingered but I'm determined to try this year! Two stores that seems to be bang on trend with the copper boom are Aldi and Oliver Bonas, both stocking a wide range of affordable home accessories within this colour scheme. Best be quick though, I'm guessing these pieces won't hang around long! 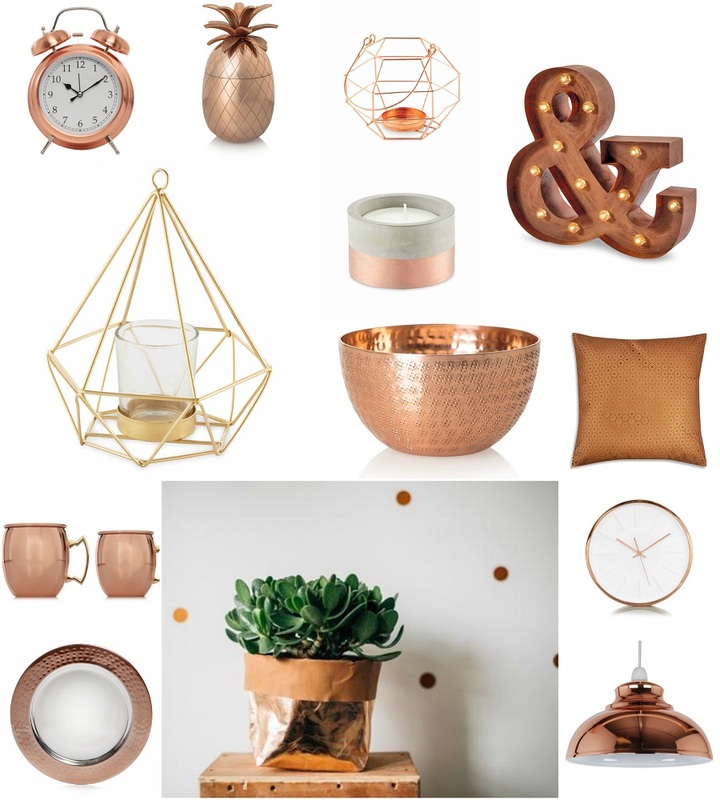 Are you liking the copper home accessories trend?